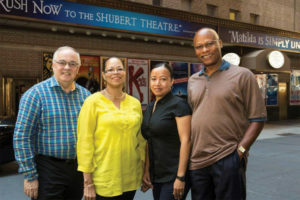 (L to R) MPTF Staff: Trustee Dan Beck, Grant Management Director Vidrey Blackburn, Grant Management Manager Samantha Ramos, and Finance Director Al Elvin. The Music Performance Trust Fund (MPTF) provides grants to co-sponsor free live music events for the public, while ensuring that professional musicians are compensated fairly. However, the process of applying for an event grant may seem daunting to organizations producing community-based events, as well as to the musicians who perform for them. MPTF staff is ready and available to help make the process easier. The day-to-day fielding and processing of applications and assisting applicants is in the capable hands of Grant Management Director Vidrey Blackburn and Grant Management Manager Samantha Ramos. Blackburn is celebrating 30 years with the MPTF. She holds a deep commitment to the goals of supporting high quality events, while making the grant application process as user-friendly as possible. Reflecting on her experiences, Blackburn says she often puts herself in the place of grant petitioners. “It is not always easy for them. It’s important to help them through the process because we have changed our operations model many times over the years,” she says. 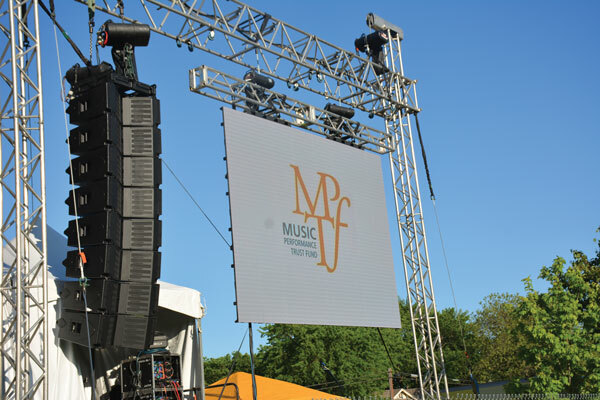 One of the responsibilities of the MPTF is to spread grants as equitably as possible across North America, while making sure the co-sponsored events are of the highest quality in each community. This, along with the economic pressures affecting the music industry, has made the grant fielding job of the MPTF all the more difficult. While Blackburn and Ramos handle the applications and field questions about MPTF grants, Finance Director Al Elvin handles the day-to-day management of royalty receipts, operational costs, and investments—all the financial reporting. MPTF Trustee Dan Beck oversees the grants and operational issues, while he explores possible avenues to sustain the fund and maximize its value and impact at the community level, and as an industry institution. Blackburn recalls learning patience and care, and how to build trusted relationships, from former MPTF General Manager Nick Cutrone. “I sat by his desk and I enjoyed listening to how he spoke to the musicians and the locals,” she says. 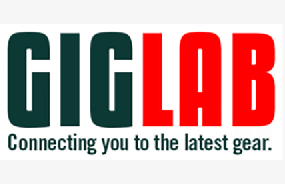 Blackburn encourages applicants to seek the grant team’s help. “If you don’t understand, call us at (212)391-3950. We will help. If we can walk you through it, it’s a win for everyone,” she says. 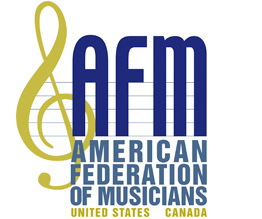 The AFM and the recording industry achieved a labor agreement that has brought a viable path for the MPTF to survive and even grow. Yes, there is a future. As the Music Performance Trust Fund (MPTF) approaches its 70th anniversary, it is gratifying to report that we recently embarked upon a renewed level of sustainability. After weathering nearly two decades of music distribution disruption, and being entirely dependent upon royalties from the sale of outmoded physical products—CDs, tapes, and cassettes—the agreement reached last year between labor and industry has begun to bear fruit for the MPTF.